For price and discount information call 020 3404 0500 or use the online contact form here. We will give you a free of charge carpet cleaning price offer non-stop. We clean all kinds of rugs and carpets and our services are suitable for commercial and domestic properties as well. 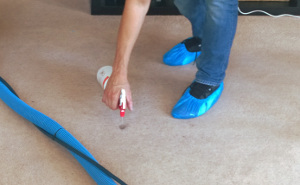 Ever since 2005, Excellent Carpet Cleaning has been performing professional deep carpet cleaning, including: steam carpet cleaning, dry foam carpet cleaning and carpet spot and stain removal in the entire Kenton West HA3. We hire all of our cleaners based on recommendations from trusted source. They are all trained, carefully vetted and constantly monitored for compliance to all of our safety and quality procedures, as well as for following our detailed professional cleaning checklists. We are constantly investing in purchasing the latest, most safe and efficient professional cleaning equipment, instruments and Prochem certified eco-friendly detergents. The carpet cleaning teams can also provide: drapery cleaning, curtain cleaning, blinds cleaning, mattress cleaning and bed bug mattress treatment. We give all of our customers who book several services at a time discounts up to 50% of the cleaning price. Our cleaners are equipped and prepared to provide you with premium quality steam carpet cleaning or dry foam carpet cleaning, depending on the type of carpet or rug you have. The service includes rug and carpet stain and spot removal for a variety of stains. The deep carpet and rug cleaning service starts with thorough hoovering and inspection of the condition and type of carpeting you have. Any high removable stains and traffic areas are pre-treated with tested solutions. Then, the cleaner proceeds to perform the shampoo carpet cleaning with the help of a powerful hot water extraction machine. If you have a delicate rug or carpet, the cleaner will use a dry cleaning technique instead. If you want, the cleaner will end with Scotchgard protecting and deodorising your rug or carpet. Along with the carpet cleaning, we can offer you professional deep mattress cleaning, bed bug mattress treatment, drapery cleaning, curtain cleaning and blinds cleaning. We offer dry foam carpet cleaning or steam carpet cleaning, depending on the type of carpet or rug we are cleaning. After an inspection of the carpet or rug, the cleaner starts with hoovering it to remove as much dust and residues as possible. Any stains which can be pre-treated and removed with suitable stain-removal options. We can remove the following types of stains from your carpet or rug: blood, coffee, vomit, rust, tea, paint, wine, oily stains and can even repair moth damage. The heavily soiled areas are also pre-treated before the deep cleaning. After that, the expert cleaner proceeds to deep clean the carpet or rug, by either using a hot water extraction machine to do a deep shampoo carpet cleaning or uses dry cleaning foam to clean the more delicate rugs or carpets. Upon request, we can add deodorising and Scotchgard protection to the cleaning service. The carpet cleaning teams can also provide blinds cleaning, curtain cleaning, drapery cleaning, mattress cleaning and bed bug mattress treatment. If you book one or more extra service, we will give you discounts from our prices of up to 15% for every next service you order. Our 24 hours a day customer care centre is at your service and anticipating to receive your booking request night or day. Just call 020 3404 0500 or send us an online request here. You will receive confirmation via text message and an e-mail in the next 2 hours. Without deposit for booking our cleaning services. You can order same day cleaning, or order our carpet and rug cleaning service for any day of the year. We offer discounts for booking multiple services at a time, so take advantage of our offer and book a combination of carpet cleaning along with another service we provide and save time and money. Our technicians will provide you with all services ordered on one visit. Book now!